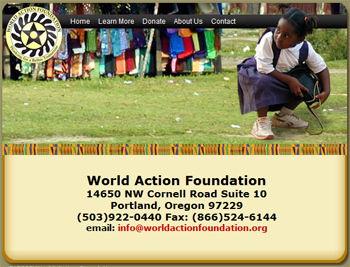 Building a site for the World Action Foundation, a non-profit agency, was a pleasure. 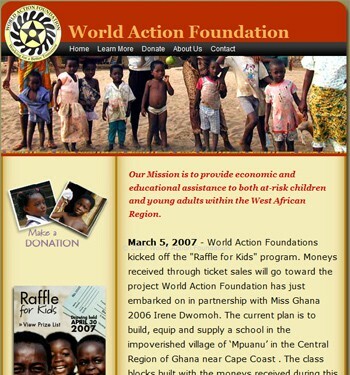 The organization was a start-up and needed a site to promote their foundation that helps the children of Ghana get off the streets and into education. 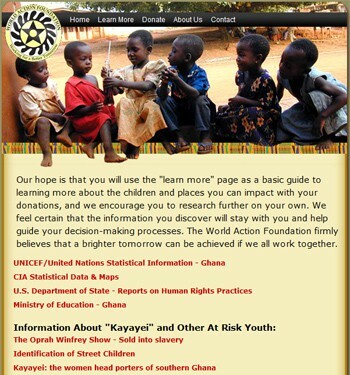 Taking elements that represented Africa, the site was designed with Photoshop and built with XHTML and CSS. A dynamic photo gallery was also implemented to show what impact they have made through their projects and fundraisers.